This is in continuation with my earlier article of Gauge system and SWG.Hope you may familiar with the gauge system. Let us discuss this article about AWG. American wire gauge (AWG), also known as the Brown & Sharpe wire gauge. Non-ferrous metals like copper, aluminium and other wire materials (meaning those that do not contain iron) are using the American Wire Gauge (AWG), but is most frequently applied to copper household electrical wiring and telephone wiring. Typical household wiring is AWG number 12 or 14. 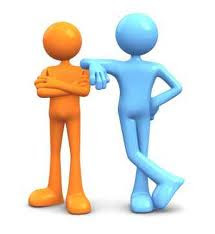 Telephone wire is usually 22, 24 or 26. The higher the gauge number, the smaller the diameter and the thinner wire. The smallest AWG size is 40 and the largest is 0000 (4/0). 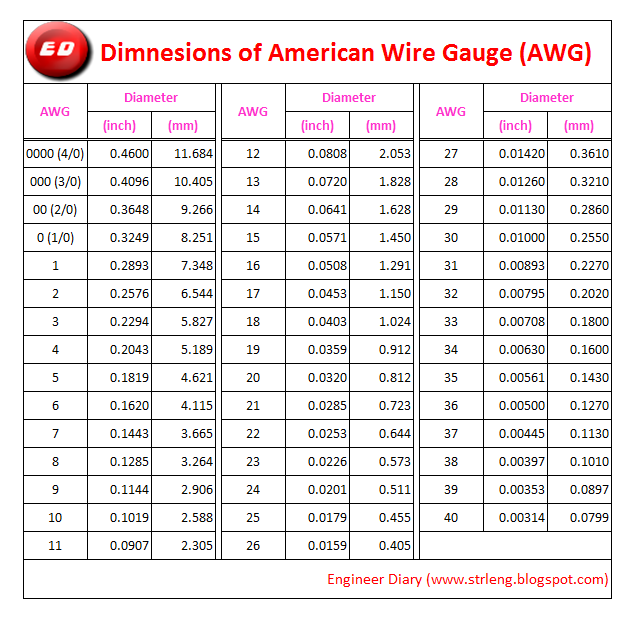 AWG general rules of thumb - for every 6 gauge decrease, the wire diameter doubles. 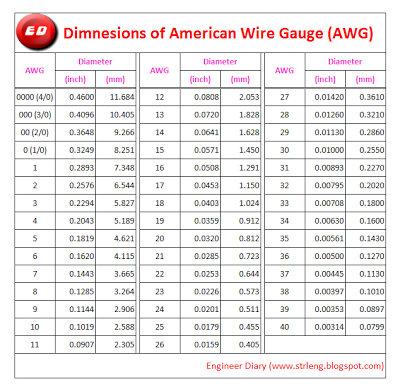 Dimensions of American Wire Gauge is below. and will be tweeting this to my followers! Superb blog and terrific style and design.